I've decided to start doing weekly posts about cool stuff that inspires me and makes up who I am. A lot of stuff we thought was awesome as kids shape our creative minds as adults. It's good to look back and think hard about why you thought certain things were so cool. To start things off, I'm doing Golden Sun. These gush posts are not by any means a review. It's just me remembering things that I liked as a kid. Having only played Pokemon and Paper Mario before this, I had no idea that RPG games were a thing. 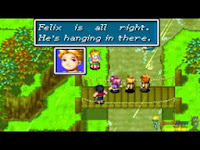 I just knew I liked games like those and as soon as I experienced my first battle in Golden Sun, a game I expected to be like Zelda, I was hooked. This game had it all. Mind blowing graphics, deep RPG gameplay, crazy special moves, freakin' swords, and catchy tunes I can't get enough of. 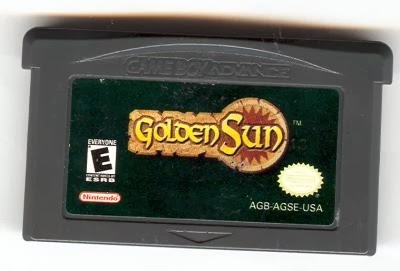 Golden Sun is a gem to me and one of my first GBA games. I actually found it randomly in a house I moved into. This cartridge was all I had to go by. I had no idea what to expect. What you see above is all I knew about the game beforehand. A tiny thing I found on a shelf turned out to be new game to play on my shiny new Gameboy Advance. I popped that sucker in and enjoyed my first traditional (more so than Pokemon & Paper Mario) turn-based Role Playing Game. One with swords, magic, dungeons, party combinations, and the most complex stats I ever saw at the time. I start the game thinking I'm about to play a game like Zelda. It's got a similar menu, it's got an overworld, there are shops, and you're pushing blocks. I went up to a bad guy ready to slash with my sword, and a Pokemon style battle scene opens up. My eyes probably resembled saucers because I remember freaking out about the graphics for a while. The overworld impressed me but the battle scene had me screaming. It was rendered in 3D! The characters looked so cool! They had swords out if swords were equipped and axes if you gave them those instead. Te same went for any of the other weapons. It felt so realistic to see the little details taken into account. Playing this felt like stepping up a bit. As if Pokemon was a beginner's game and this was what the big kids played. It had all the cool medieval stuff of fantasy wrapped around a Zelda game with Pokemon battle system. Needless to say, this random game I found became my favorite. I loved it for it's complexity and presentation. It felt like a game that was open ended. 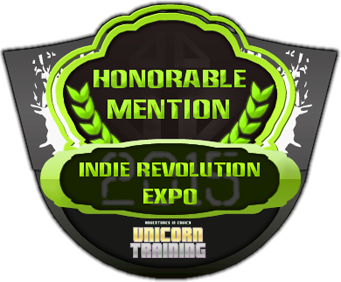 It was better suited for complex strategies rather than the one beats another and button reflex dependent RPGs I was used to. Even just the defend button got me thinking really hard about fighting tough enemies cautiously. Using my party members in the most efficient way in order to spare them and use characters with dedicated roles. In Pokemon all my guys were offensive. In Paper Mario I was well rounded with HP, FP, and BP. 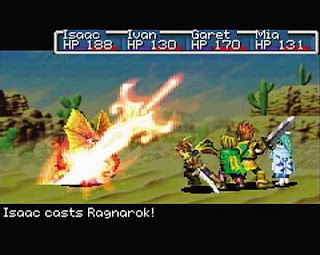 In Golden Sun, however, I had an all-rounder, a tank, a healer, and a crowd controller. They all had special elements like Pokemon types, but they never mattered. The game was about 4 characters versus hordes of enemies. Weapons, armor and spell variety determined if I won or not. It felt good to win because I felt smart and powerful, rather than just powerful. This game had shops allowing you you to choose the best loadout possible, puzzles that make you want to reach for a pen and paper, and boss encounters you'd limp away from. All the deep mechanics were coated with beautiful (even customizable) interfaces with colorful icons, Donkey Kong Country style 3D sprites, and the largest amount of on screen particle effects I had ever seen. 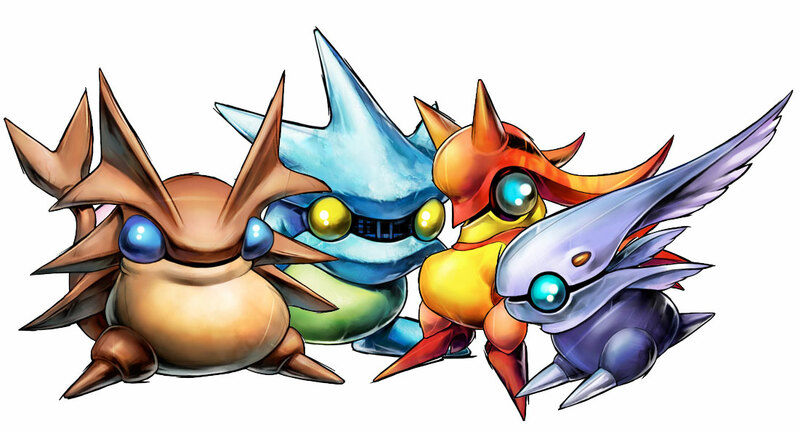 There were also little monsters called Djinn which introduced a layer depth that I couldn't even comprehend at the time.I saw them and immediately thought of them in terms of Pokemon when in actuality they were to be treated as special attacks and summons. I even admit to calling the brown one Pikachu and the red one Charmander for a while. Since each party member was associated with an element, I gave each a Djinn to match said element. Doing so increased the member's stats significantly and allowed for awesome animated summon attacks in battle. Despite knowing that mixing them up yielded new spells, my OCD nature kept me from avoiding it as much as possible. Finding the little buggers was a game in itself. Some were placed so very teasingly out of reach with no apparent indication of how to get to them. Whenever I came across one I could actually walk up to, it was a moment worth celebrating. Like finding a heart piece in Zelda or a good TM in Pokemon. It was even better when it challenged you to a fight. Unlike Pokemon it was about defeating it instead of weakening it and waiting for chance to be in my favor. A nice change of pace. 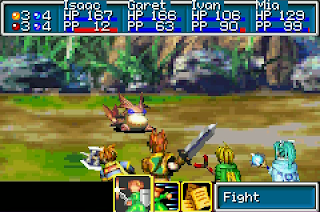 Golden Sun introduced me to a wide array of mythical creatures I knew next to nothing about. I discovered Chimeras, Slimes, and a Kraken on my journey adding to the list of monsters I'd doodle in the back of the classroom. The overworld was also gigantic. Imagination came into play here as I pretended to trek through the wilderness to reach my destination. At every cave and town I'd be treated to the close up view of a 3D environment filled with interactivity and secrets. The spells learned for combat also had use in the outside world. You could use a growth spell to stretch a sprout out into a climbable wall, Push statues wit telekinesis, or use the frost psynergy to make a pillar out of a puddle. This game is responsible for hours of enjoyment. I was immersed in the world of Weyard as leader of an elite team of psynergy masters. Roaming the countryside, leveling up to become invisible against any and all bosses that may reveal their ugly mugs. Playing this distracted me to the point of not needing any other GBA games for a long time. It was just a dream to play this thing. Although I did have a falling out with it. Whereas most kids my age had off and on romantic relationships, I had video game drama. I got stuck at a part where I didn't know how to progress toward the end of the game. I got so frustrated that I sold the game to Blockbuster (remember that place?) and regretted it two weeks later. I returned to the store and bought it back. A little after that I got a laptop and used gamefaqs.com to find out how to proceed. Finally, all was well. Once I had beaten the game I was treated to another surprise. The idea of a sequel. I was shocked when the game ended because I thought I was only halfway through. there were four lighthouses to activate in the story and I only reached two before the credits rolled. I was presented with a password that would presumably transfer my save data should I ever play the sequel. I only got around to playing the ROM many years later, but i did get the sequel on the DS on it's launch day. 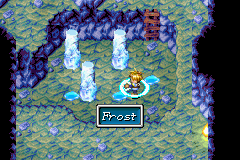 And that is how I will always remember Golden Sun. The game that came out of nowhere and blew my 10-year-old mind. Stunning and gorgeous come to mind when describing my initial awe, but what made the game addicting was the complex RPG systems and huge world that I slowly grew into. But I know I'm not the only one who played this gem before. Leave your own tidbits and stories in the comments. If I missed something or glossed over your favorite part you can have your say below. I'd love to see what you think of the Golden Sun series. This and Lost Age were my favorite games for GBA. There should be more sequels. I love Golden Sun! There needs to be a 3DS one!